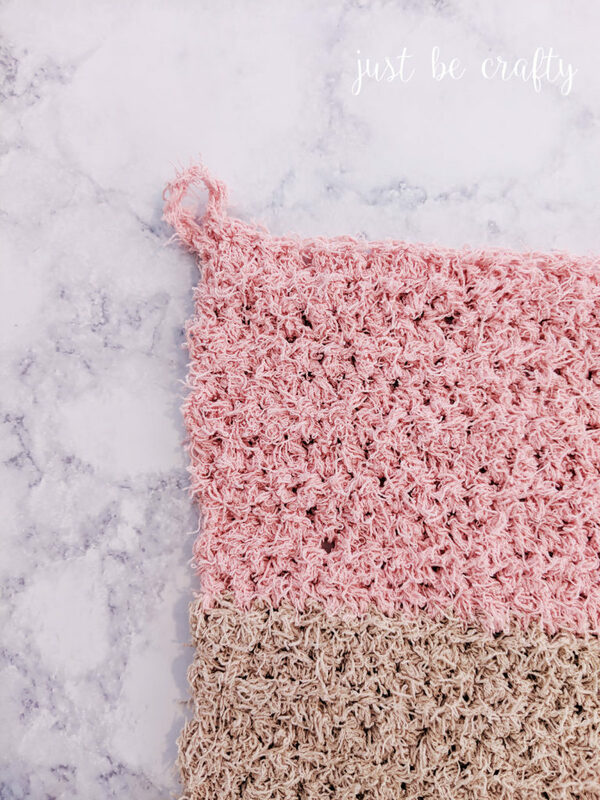 The Crochet Color Block Exfoliating Washcloth is the perfect quick project for a super fast, easy and thoughtful gift! Hello and welcome back to my blog! 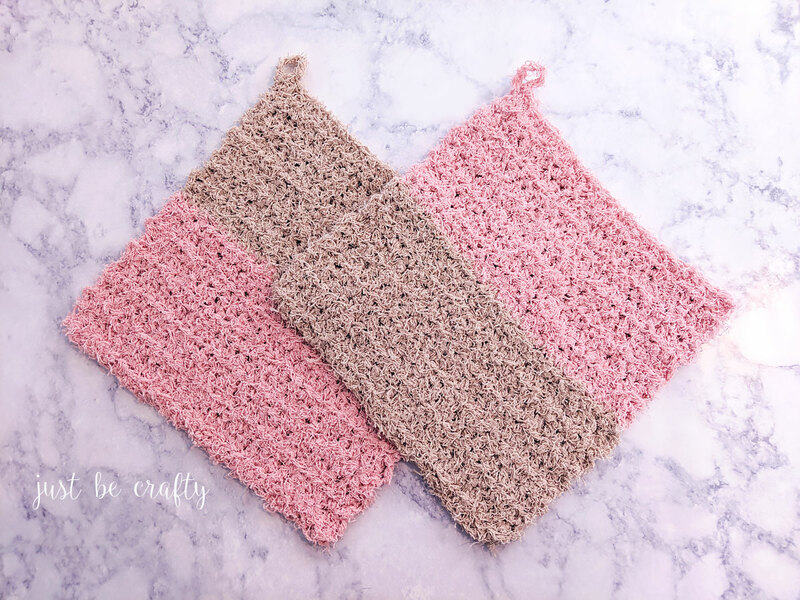 Today I am sharing a new fun and easy washcloth pattern with you – the Crochet Color Block Exfoliating Washcloth! This pattern features Red Heart Brand’s Scrubby Cotton Yarn and I absolutely love it! This was my first time working with this yarn and I was really impressed with how the project turned out. The fabric formed is scratchy but softens a bit once it is wet making it great for exfoliating OR as a scrubby kitchen dishcloth. I will say though if you are a newbie crocheter this would probably not be the best yarn to start your crochet journey. Like other fuzzy yarn variations it can be really difficult to see where you are placing your stitches and this yarn is no different. If you’re new to crochet, and can’t see where you are supposed to insert your hook to make a stitch, it can very frustrating! If you are a new crocheter and would like to tackle this project, I would suggest following along with this pattern in a basic worsted weight cotton yarn (such as Lily Sugar n’Cream) and come back to the Scrubby Cotton later. With that said, if you are a seasoned crocheter or a SUPER determined beginner I think you will love this project! 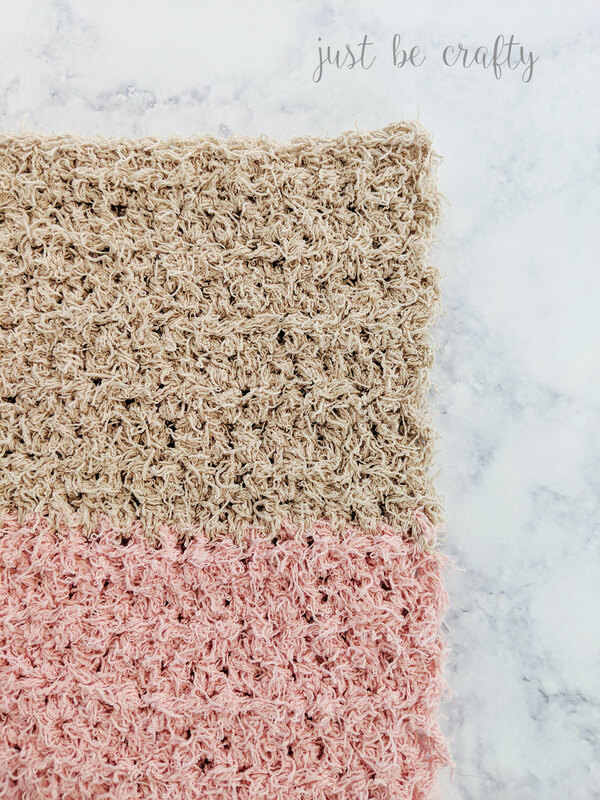 The end result looks like an expensive washcloth you might find in boutique and would make for a great gift! Package your finished washcloth up with a ribbon/bow and attach a pretty bar of soap… or include as an addition to a small spa gift basket and you’ll have yourself a super cute gift anyone would love! 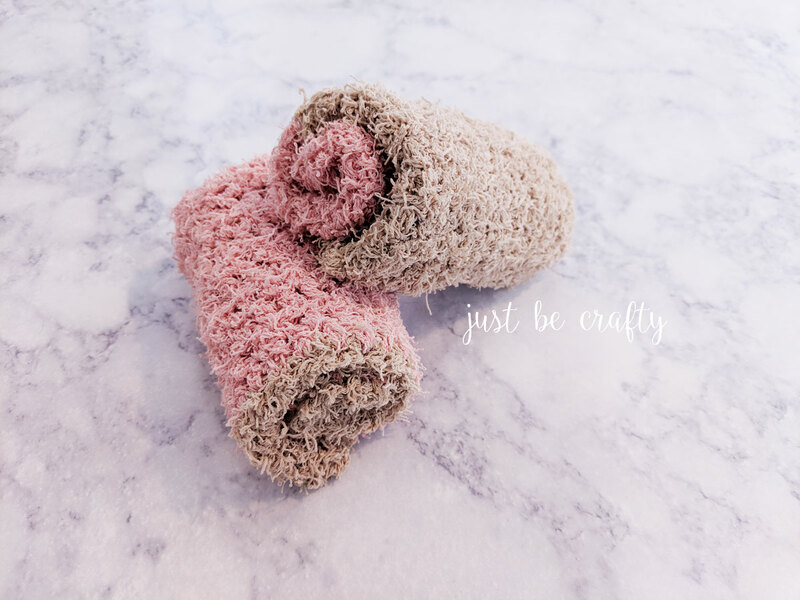 Ready to make your own set of exfoliating washcloths!? 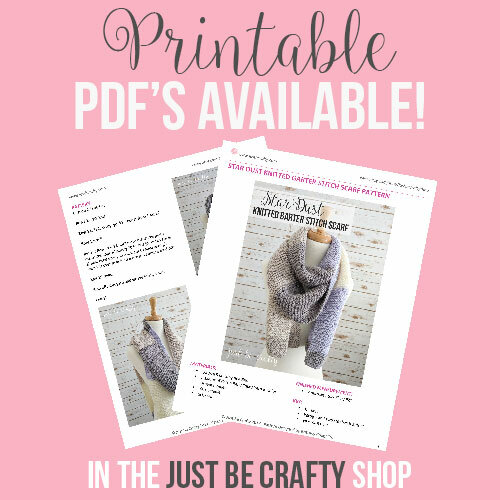 Keep on scrolling to view the FREE pattern! To make washcloth with the “Peachy” color hangable loop, begin with “Tan”. Row 1: Starting in 3rd chain from hook, hdc in each ch across row, turn. Row 2: Ch 2 (ch 2 does not count as a st), hdc in each st across row, turn. Repeat Row 2 until “Tan” portion measures approximately 4 inches. Cut yarn and attach “Peachy”. Repeat Row 2 until “Peachy portion Measures approximately 4 inches. Ch 7, and make sc into same stitch the ch 7 began, creating a hangable loop for your washcloth. Cut yarn, and weave in all ends. To make second washcloth with the “Tan” color hangable loop, start with “Peachy” color and repeat above directions.